The other day I was reading J. A. Brillat-Savarin’s The Physiology of Taste and his discussion of chocolate gave me the greatest craving for a rich cup of chocolat chaud. As we have been experiencing cool weather here in Manhattan, Kansas the past few days, the timing was perfect; but, of course, being Kansas, the weather is supposed back up into the 80’s by mid-week. That’s how it goes here. I hope that you are having a lovely autumn! Enjoy the recipe! 1. Place chocolate in a 2-qt. sauce pan over low heat. Pour boiling water over chocolate. Stir until smooth. 2. Gradually stir in 2 c. of the warm milk. Taste. If the flavor is too strong for you, stir in more milk to taste. If desired, stir in a bit of brown sugar. 3. Once you have reached the desired flavor, continue stirring until smooth and hot – but not boiling. 4. If you have an immersion blender, whip the hot chocolate until frothy. Ladle into warmed serving cups. Garnish each with a cinnamon stick. If desired, top with Chantilly cream, cinnamon sugar and/or chocolate curls. Bon appétit! 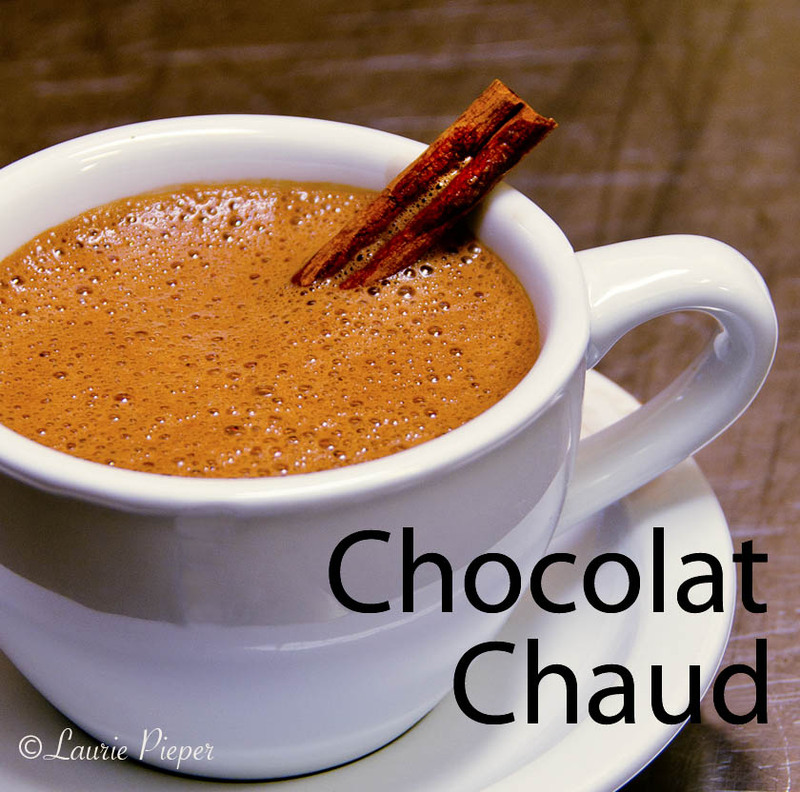 Note: As with just about anything you make, the are a number of ways to make chocolat chaud. Some recipes omit the hot water. You can use more or less milk if you desire. (About 2 cups of milk is the minimum that I like to use without having to sweeten the beverage.) If you have the patience to wait, after you have warmed the hot chocolate mixture and balanced the flavors, remove it from the heat, transfer to a glass container and allow it to sit for several hours in order to thicken. Return chocolate to clean saucepan, then gently warm mixture and continue with step 4. This entry was posted in Beverages & Cocktails, Recipes and tagged Bittersweet Chocolate, Breakfast, Brillat-Savarin, Chocolat Chaud, Cinnamon, Desserts, French Hot Chocolate, Hot Beverages, Hot Chocolate, Kansas, nature, Photography, The Physiology of Taste, Weather. Bookmark the permalink. Oh this looks absolutely delicious and thoroughly authentic. Thank you, Bella : ) Have a lovely evening!